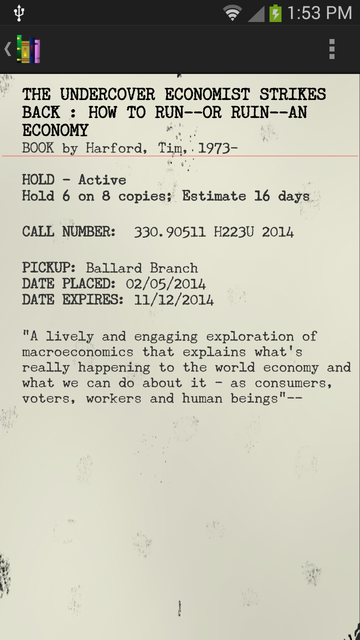 One Book Away shows a summary of your borrowing activity at the Seattle Public Library. 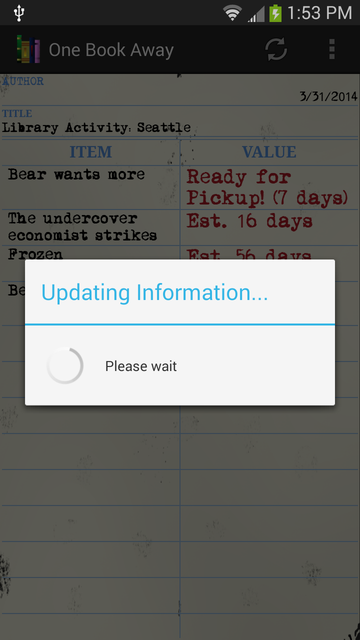 This app helps organize items waiting for you at the library, similar to a queue. 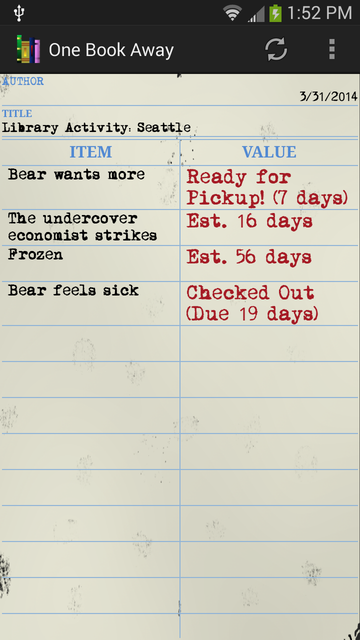 It estimates how long you should have to wait for an item you have on hold. For example, if you know it will take about 60 days for a book to arrive, you might decide to read something else while waiting. If you haven't already done so, go download it now from the Google Play store! The app is meant as an interactive activity report for your library usage. 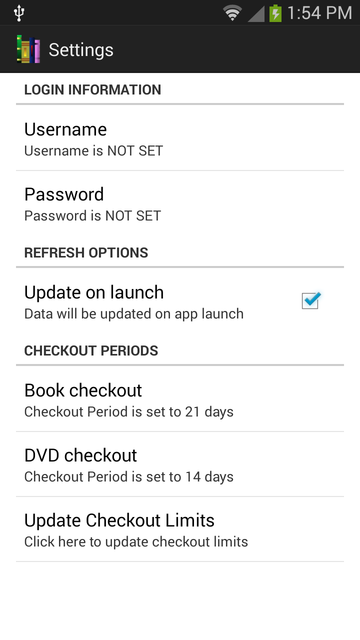 It cannot request a new book, renew a currently checked out book, etc. The Seattle library does not provide a public API to access their information, so data is gathered from their website. If the library changes the layout of their web pages, this application will likely not work until I have a chance to update it accordingly. 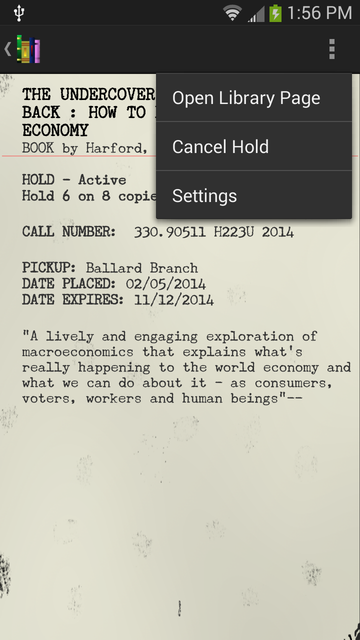 Finally, this app will only work with the Seattle Public Library. However, if your library’s website uses the Horizon system, it should be possible to make it work with your library too. Feel free to contact me if you are interested.